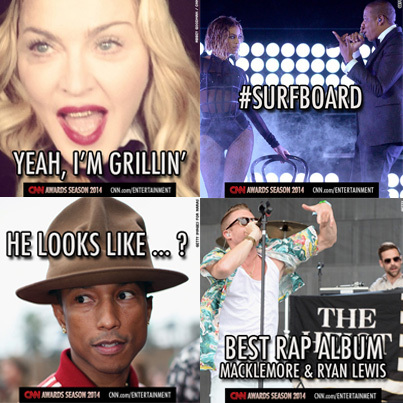 CNN's coverage of the 2014 Grammy Awards. 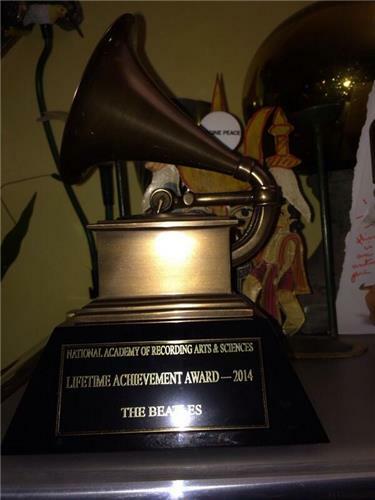 Earlier, Ringo Starr gave us an up-close look at the Beatles 2014 Lifetime Achievement Award. Whether you loved Taylor Swift's performance or were getting whiplash sympathy pains during it, we can all agree that she looked stunning, yes? 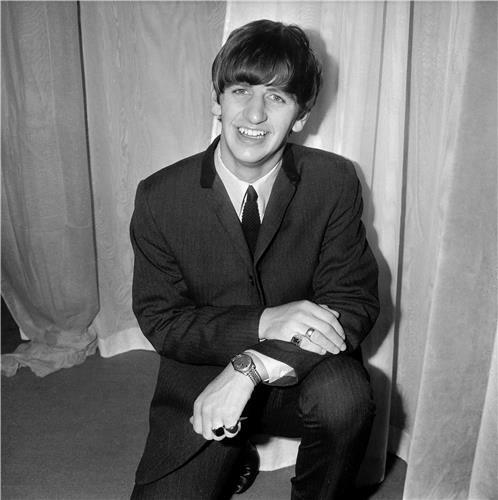 "Photographs" performed by Ringo Starr at the #Grammys. A sentimental tearjerker of a song but just lovely. What made your neck hurt (in sympathy) more: Taylor Swift's performance tonight, Willow Smith's "Whip My Hair" (2010) video, or the headbanging scene from "Wayne's World" (1992)? 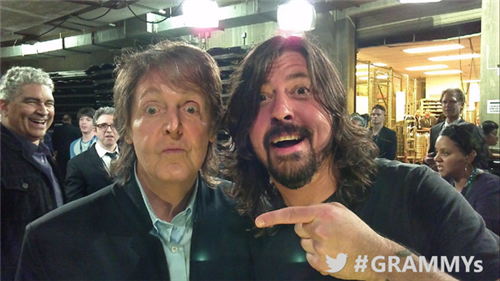 Sir Paul and Dave Grohl have some fun in our Grammy Twitter mirror backstage. CNN's Todd Leopold has a fun fact for you: Paul McCartney, of course, has won many Grammys -- both with the Beatles and in his post-Beatles career. But Dave Grohl only won one Grammy with Nirvana, for alternative music album for "Unplugged in New York." "Smells Like Teen Spirit" lost to Eric Clapton's "Layla." 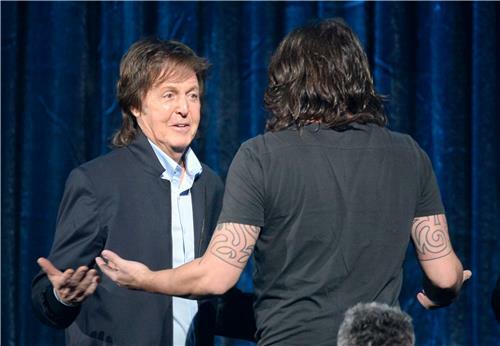 Grohl has won bunches of Grammys with the Foo Fighters, however. We can't get enough of these two! How adorable. Lorde wins best pop solo performance for "Royals." 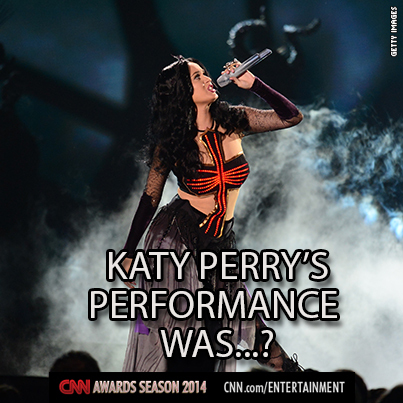 Fill in the blank: Katy Perry's performance of "Dark Horse" was _______. Up for a challenge? Do it in two words or less! "All Too Well" finds @taylorswift13 at the piano on the #Grammys stage. She sounds good and looks ethereal. Robin Thicke and Chicago is a lot harder to make fun of than Robin Thicke and Miley Cyrus. If it’s John Legend or Taylor Swift you're looking forward to most, you’re in luck. They’re up next. Hey: that could be a fun pairing. But they’re not singing together tonight. 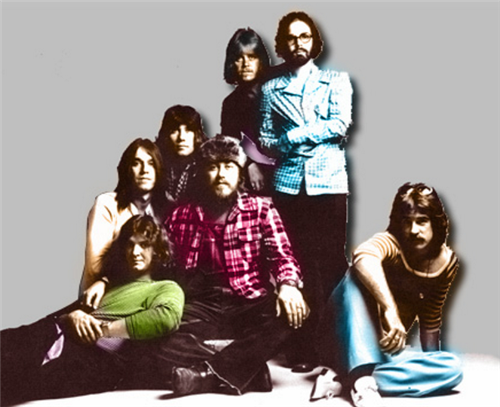 For those not in the know, Chicago -- which just played with Robin Thicke -- was one of the best-selling bands of the '70s. The band was known for its blend of jazz and pop, hits such as "25 or 6 to 4," "Colour My World" and "Saturday in the Park." So, what does Ryan Lewis do? life. We're a team, and I'm extremely blessed because of it." 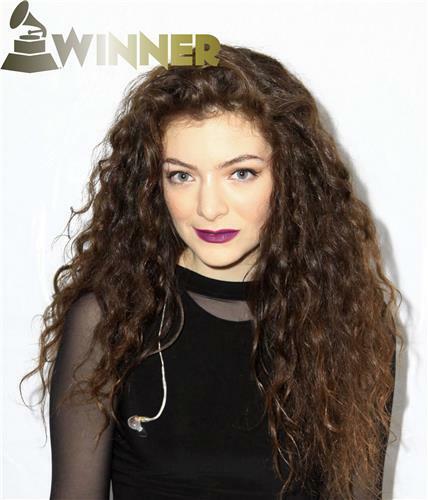 "Royals" gets a different arrangement from @lordemusic at the #Grammys. Will she be nominated for best new artist next year? 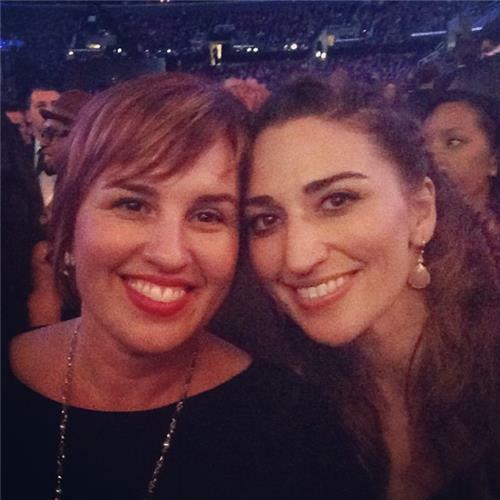 Welcome to CNN's live coverage of the 56th Annual Grammy Awards! Our CNN colleagues are live blogging throughout the night from the awards show itself at the Staples Center in Los Angeles, the New York Bureau and CNN's World Headquarters in Atlanta. We want to hear from YOU: What you think of the performances, the tributes, the winners, the red carpet arrivals and absolutely everything in between. So leave comments here on the live blog, participate in out polls and tweet us at @CNNShowbiz. First award of the night at #Grammys. Best new artist goes to rap duo Macklemore & Ryan Lewis. Jay Z and Beyonce released "Drunk in Love" 10 years after "Crazy in Love." Folks at the #Grammys seem moved by @llcoolj speech about how much #music matters.